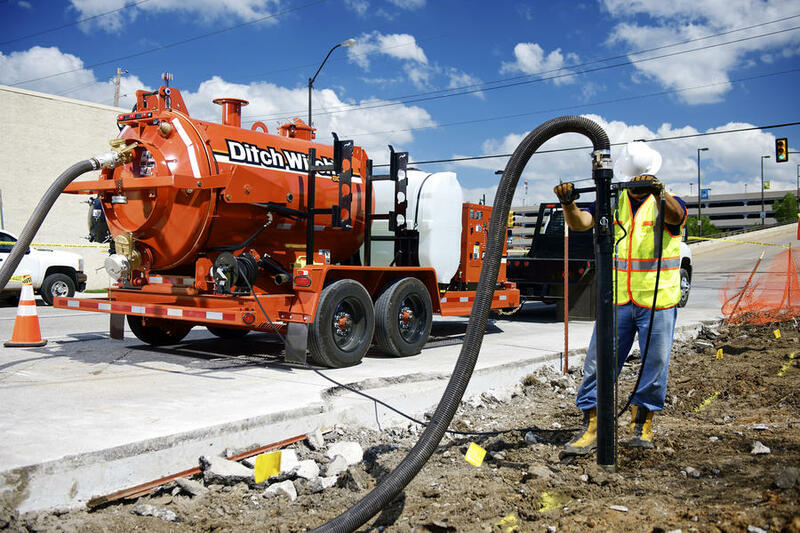 The Ditch Witch FX25 vacuum excavation system provides contractors an economical solution for a wide range of cleanup and excavation tasks. 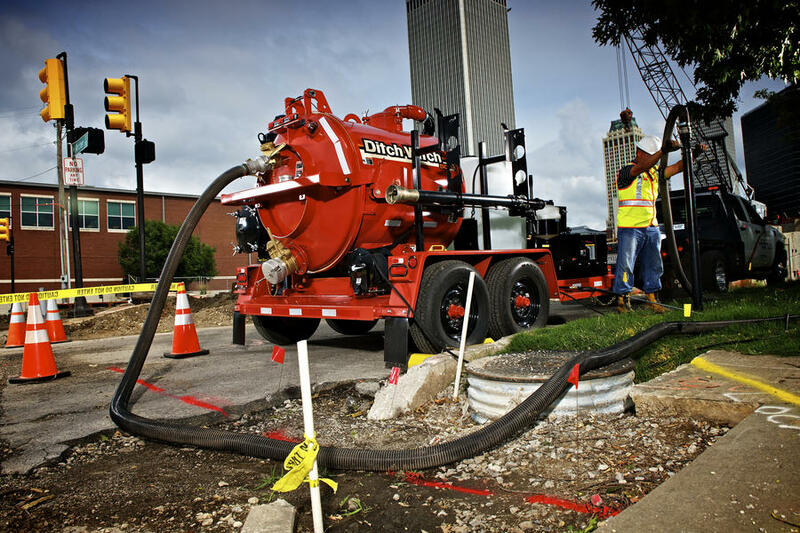 This low-maintenance, low-profile unit can operate in tight jobsites, cleaning up spills and unwanted fluids with exceptional suction power. 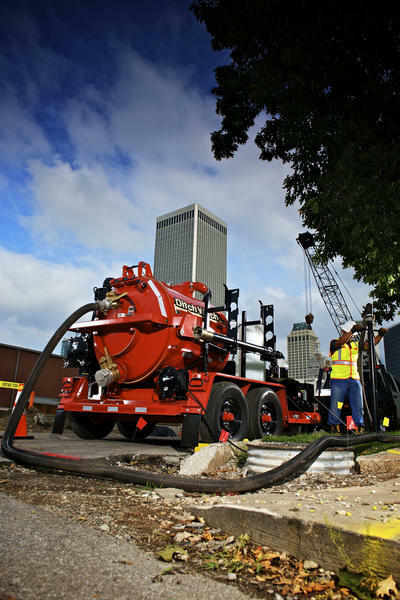 The FX25 also offers a wide range of options, including a high-pressure water tank with 3,000-psi pressure for soft excavation tasks such as potholing utilities. 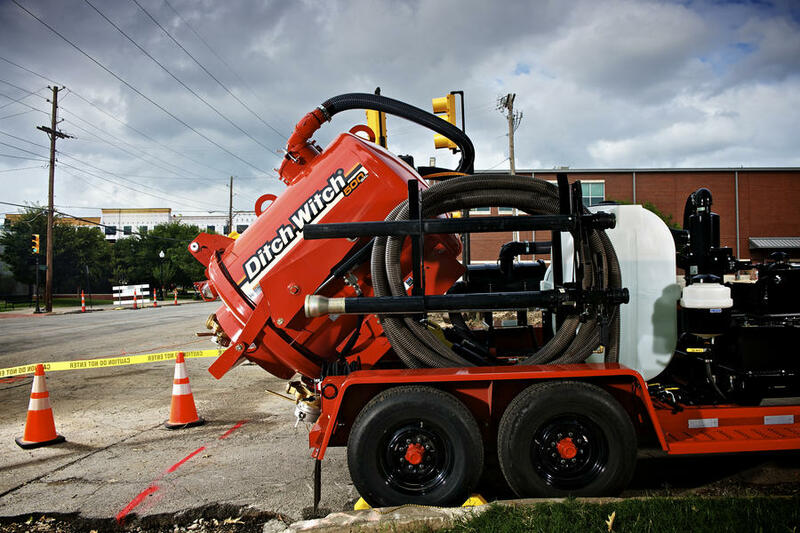 Compact, low-profile vacuum excavation system powered by a reliable, 31-hp Briggs & Straton gas engine. Low-maintenance FX25 features a large-capacity, single-element, 3-micron washable vacuum filter; all functions are run by a single power pack, further reducing maintenance and minimizing fuel costs. Sturdy, steel-reinforced FX25 is built to last and maintain its value; compatible trailer features heavy-duty components and mounting structures. 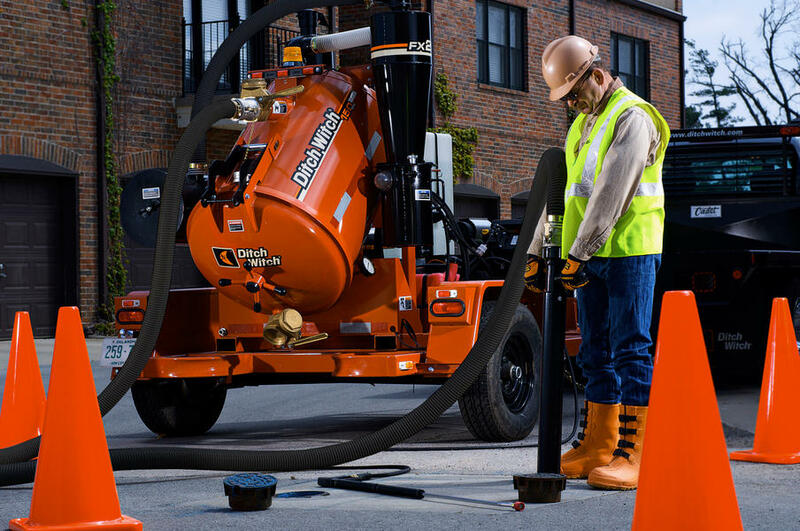 Designed for multiple cleanup and soft excavation tasks: potholing utilities, water valve cleanout, underground utility vault cleanout, storm drain cleanout, exposing buried utility lines, directional drilling site cleanup, water leak repair, commercial and residential debris cleanup and landscaping, posthole digging, and more. Configuration choices include 500-gallon spoils tank and optional 80- or 200-gallon water tank with 3,000-psi water pump. Hydraulically controlled, dual-cylinder tank dumping system provides stability when dumping. Easy-access curbside controls, hose, and tooling storage rack are designed to improve convenience and safety. Meets all EPA/CARB regulations for sound and noise level requirements.